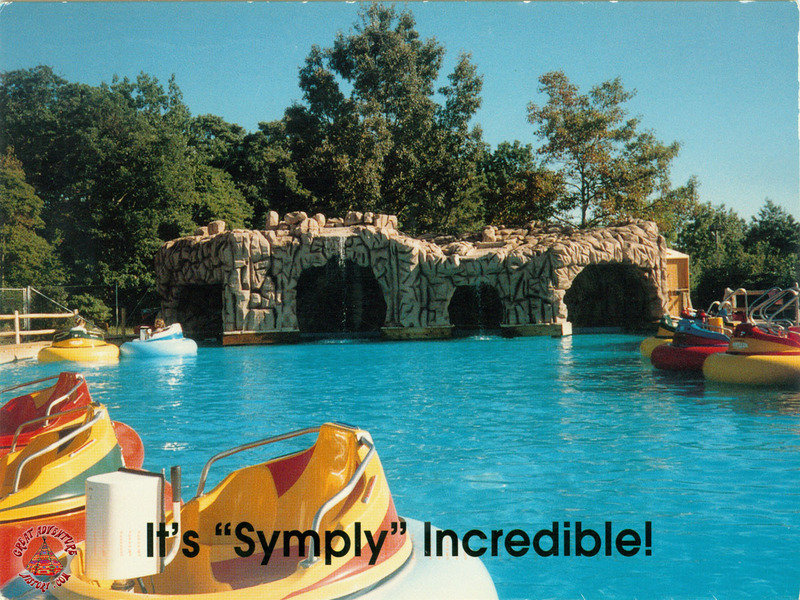 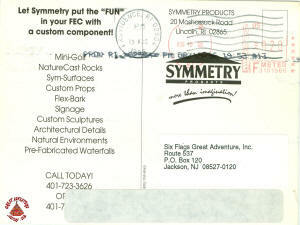 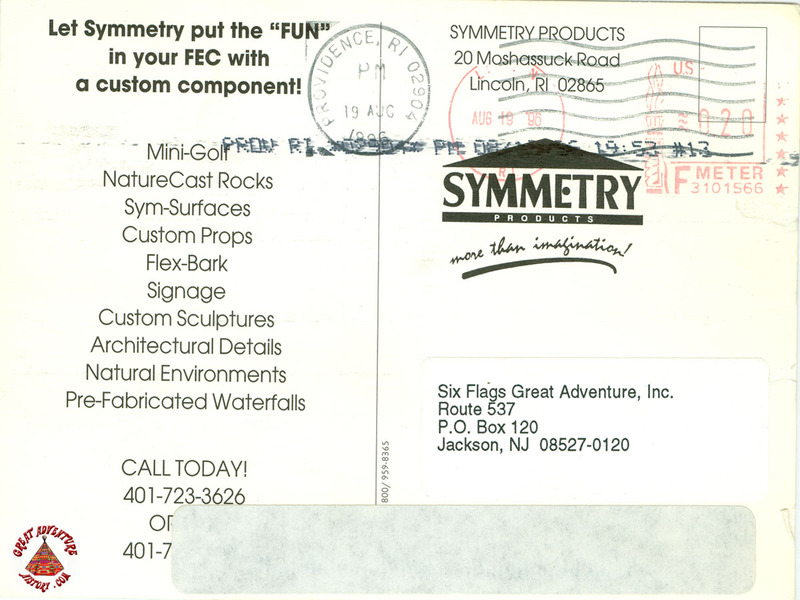 Time Warner’s acquisition of the Six Flags parks in the early 1990’s brought with it an array of innovative attractions and more coherent theming throughout Great Adventure. 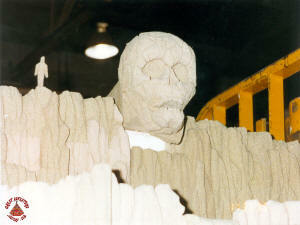 Following in the spirit of new attractions such as The Right Stuff Mach 1 Adventure and the rise of the themed areas such as Adventure Rivers and the Old Country, Skull Mountain was a roller coaster which focused on giving guests a unique thrill experience that went beyond the ride-itself. 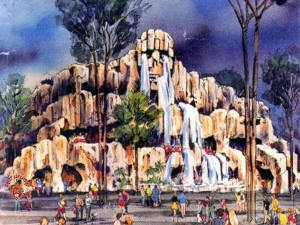 Concept art showed that Skull Mountain was going to be an enclosed attraction where themed elements would be used to tell the story of failed explorers who tried navigating what seemed to be a tribal, haunted mountain. 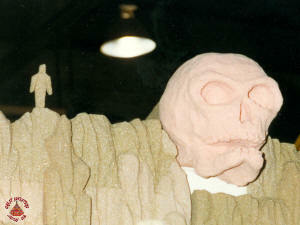 Riders would assume the role of new explorers hoping to successfully tour the caves. The signature Skull that rests atop the mountain was depicted as an elegant waterfall that flowed from the eyes and mouth down across the many valleys of the structure into a pool at its base. 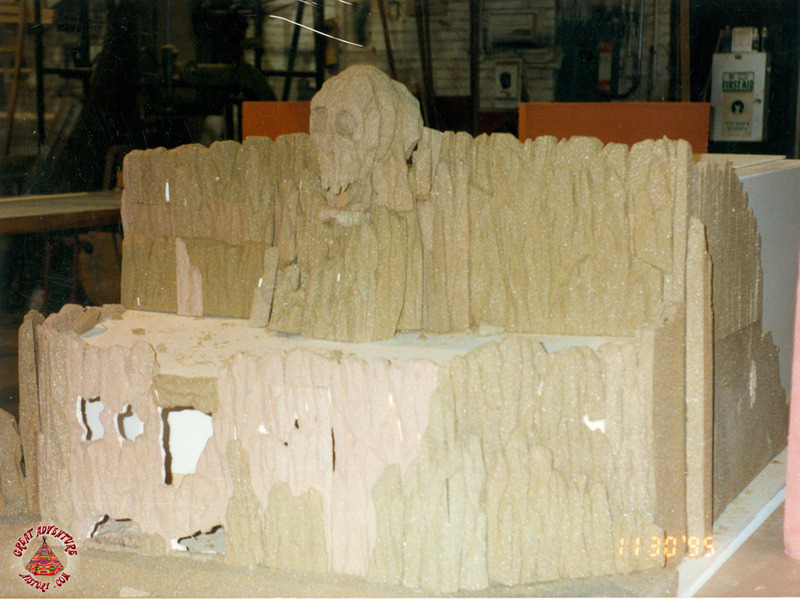 In an age where computer modeling was in its infancy, a more logical choice to represent this new coaster was to create a scale model made out of clay and styrofoam. 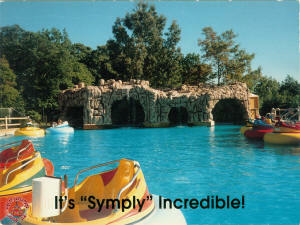 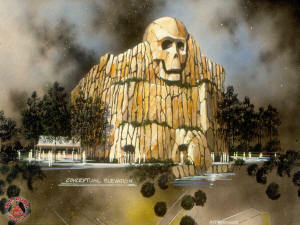 The ride's exterior was to be a creation of a company named Symmetry. Their specialties included sculpture and prop making, and their close proximity to Great Adventure made them the ideal candidate to translate the mountain from concept art to a 3D rendering. 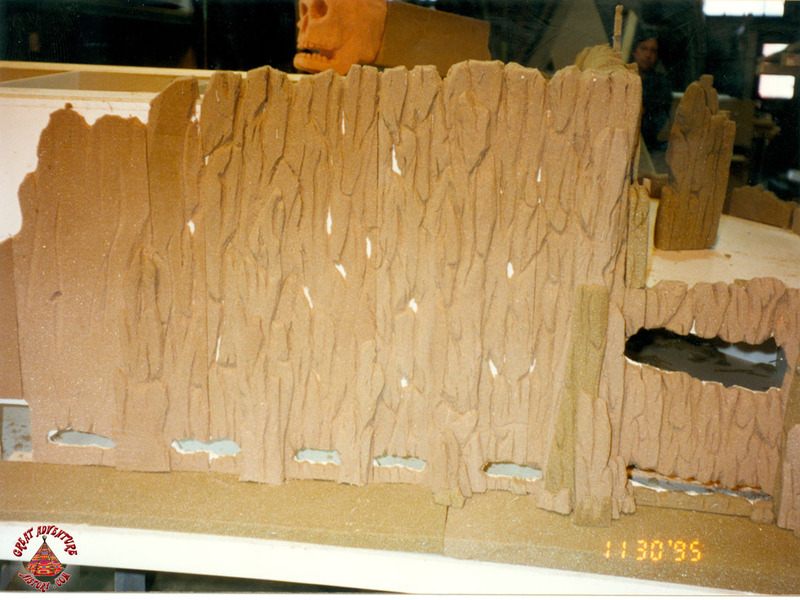 The model featured the rocky texture that the front facade of the building would take on following construction of the metal framework. 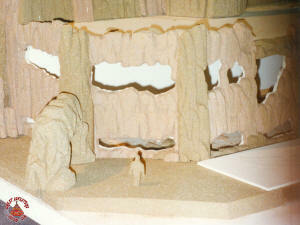 Also included were the many ledges and plateaus that the waterfall would wind through. The ride’s track would not be represented in the model as it was built only to illustrate the housing of the coaster. 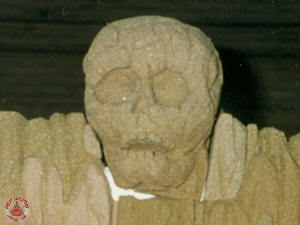 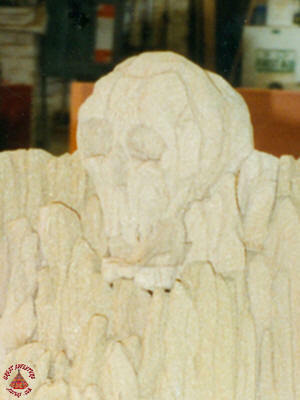 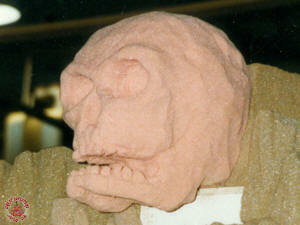 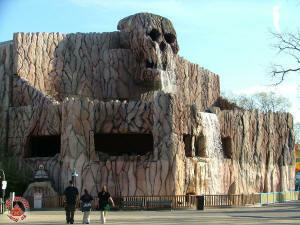 Multiple designs for the Skull were created to interchangeably place atop of the mountain structure for comparison. They ranged from realistic and scary to cartoonish and playful like the final skull seen today that matches the family nature of the roller coaster within. 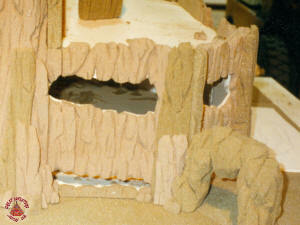 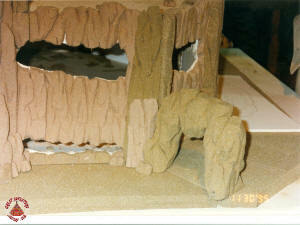 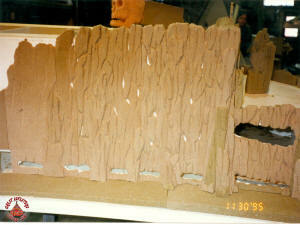 A model park guest was included with the building to accurately depict the scale and size of the mountain. 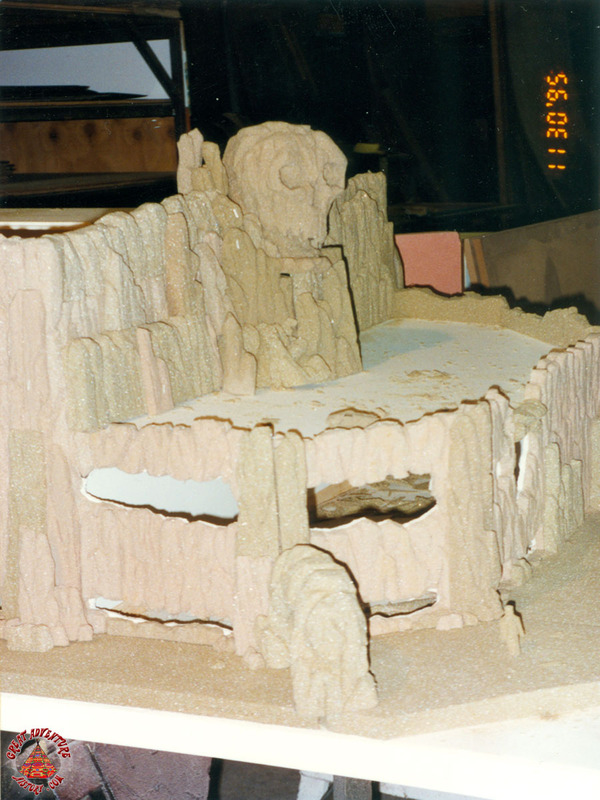 This helped to show the various “caverns” of the mountain front whose windows would contain both the inner queue and the track level between the coaster’s two lift hills, as well as the physical height of both the mountain building and the ornamental skull at its center. 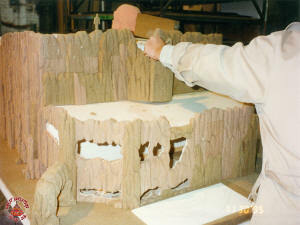 Many features of the model and concept art would be omitted from the finished ride. 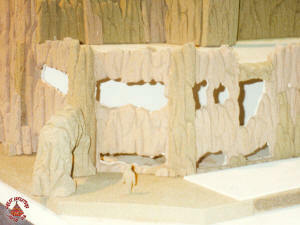 These include the trees and foliage scattered through the mountain levels in the concept art, and the rocky archway entrance seen on the scale model. 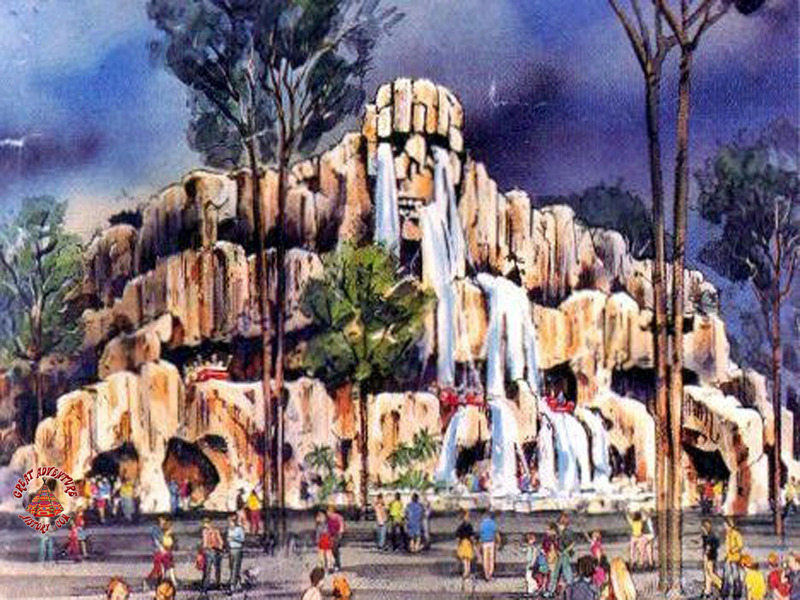 The waterfall would be included almost exactly as shown in the concept art, but with the added feature of red lights inside the eyes of the skull. 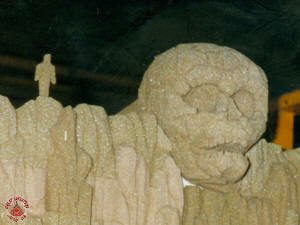 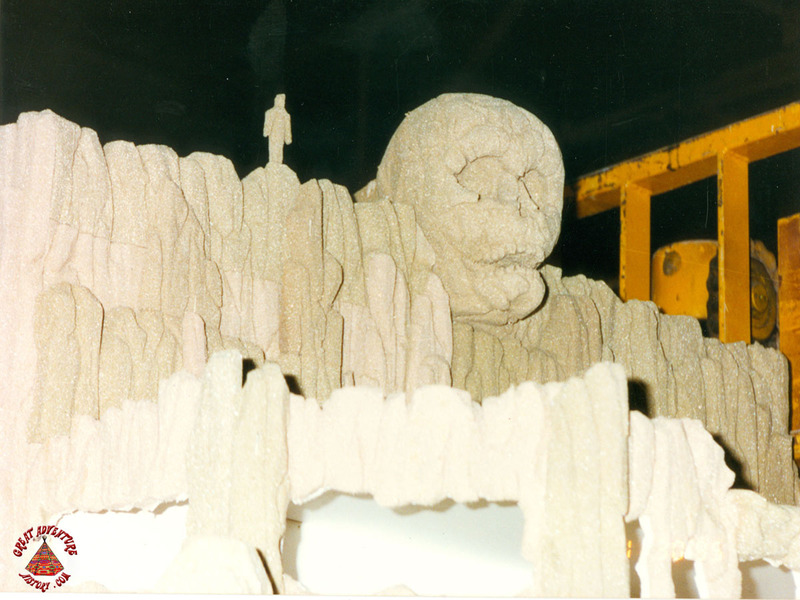 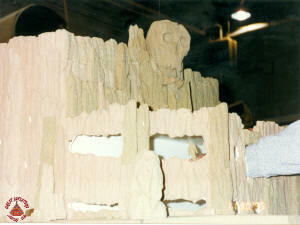 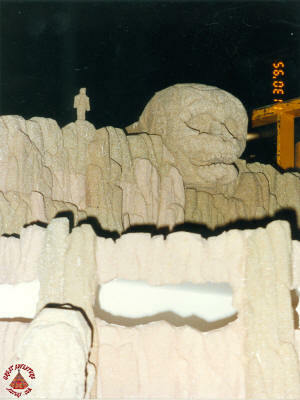 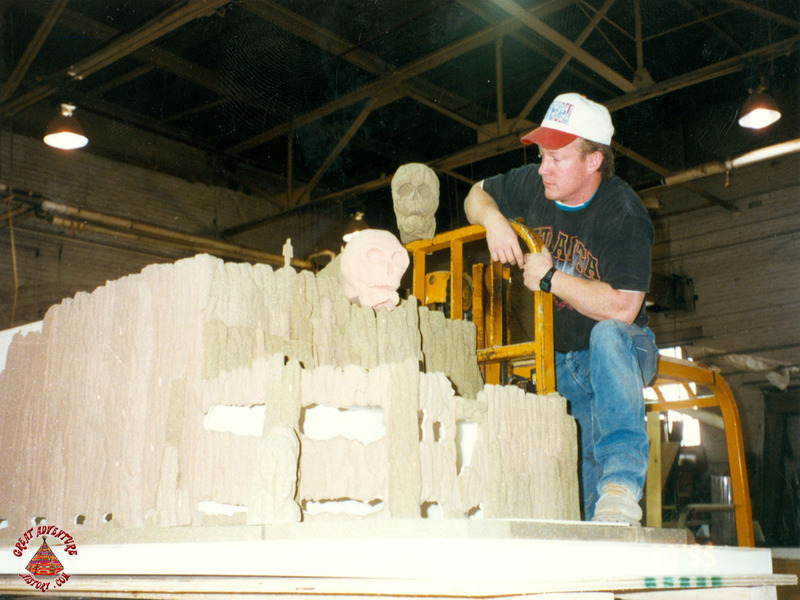 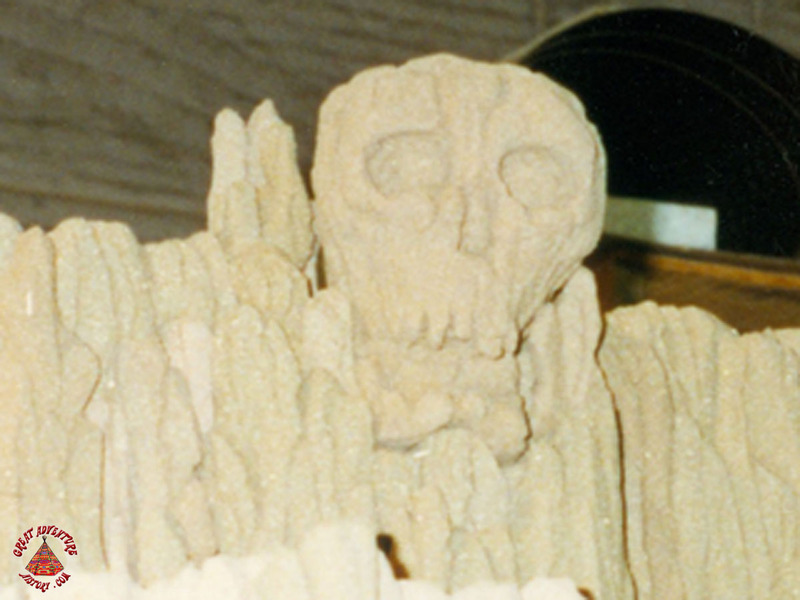 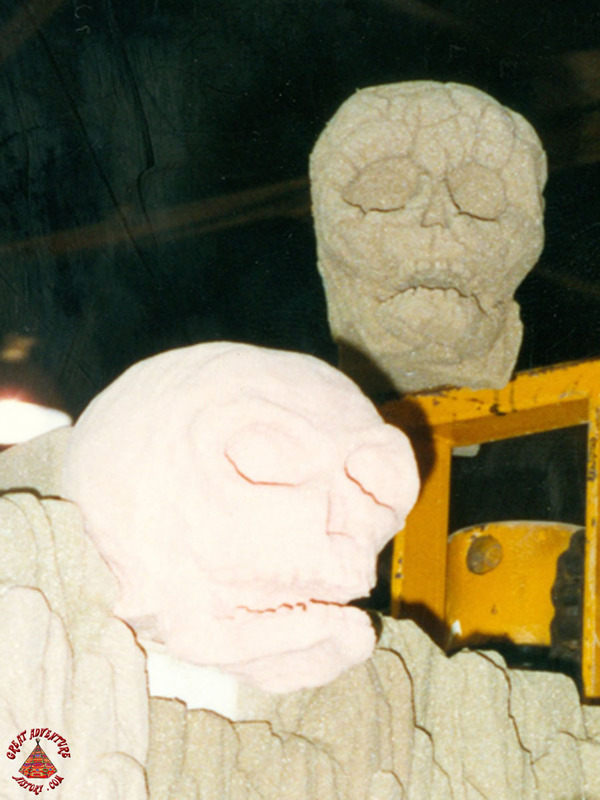 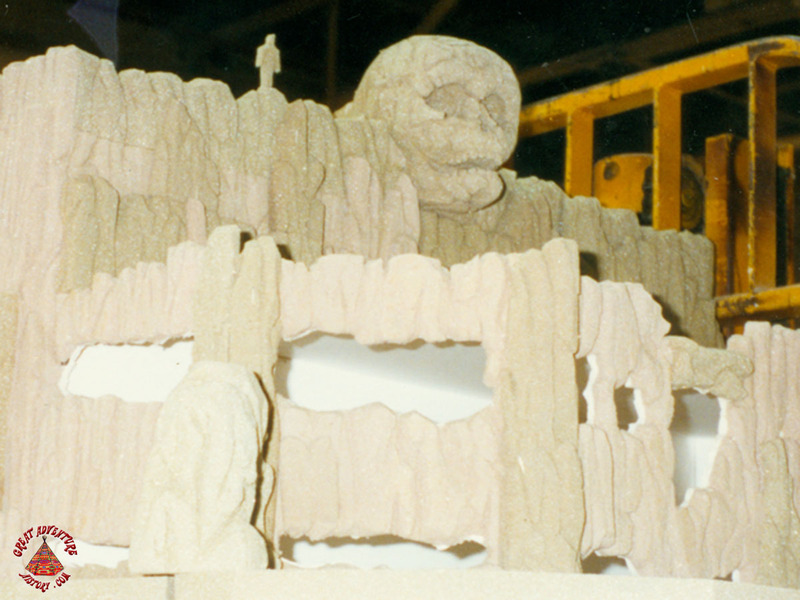 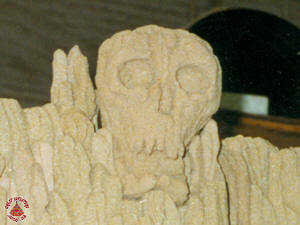 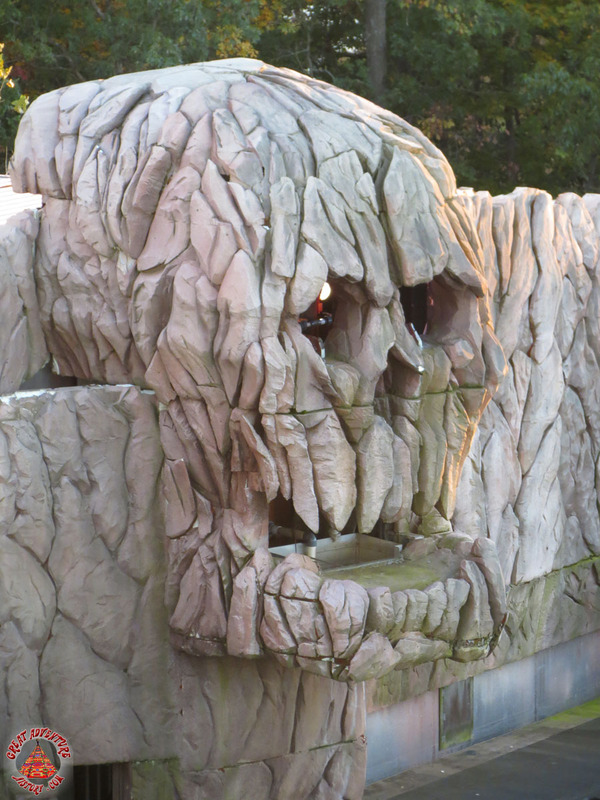 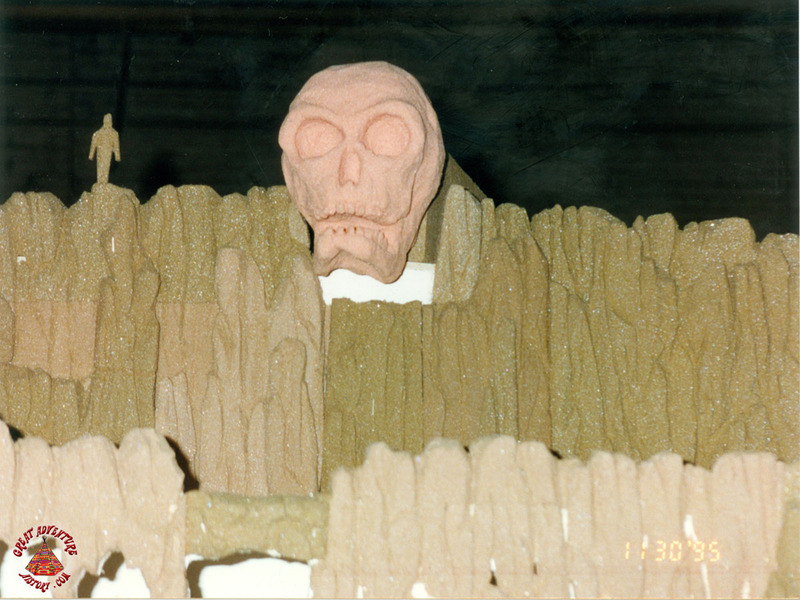 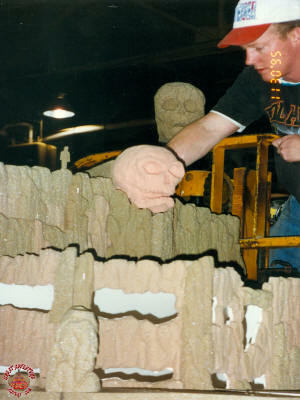 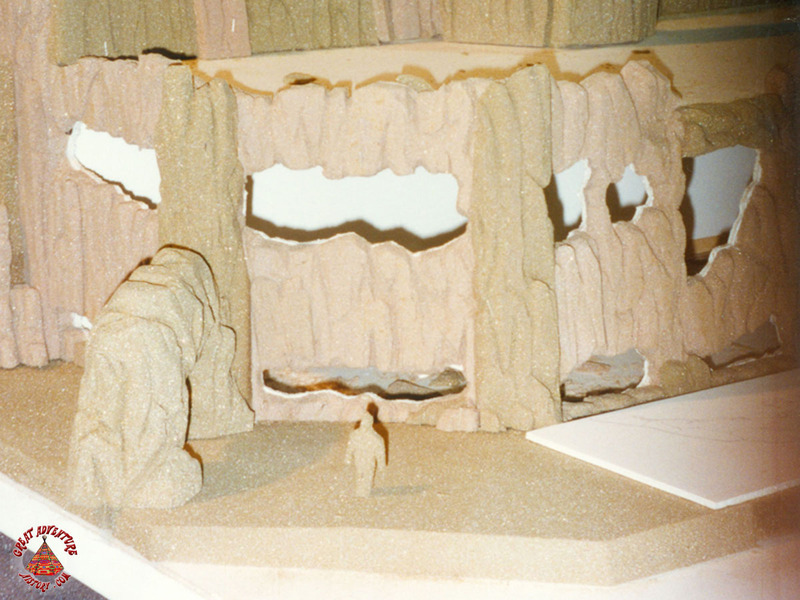 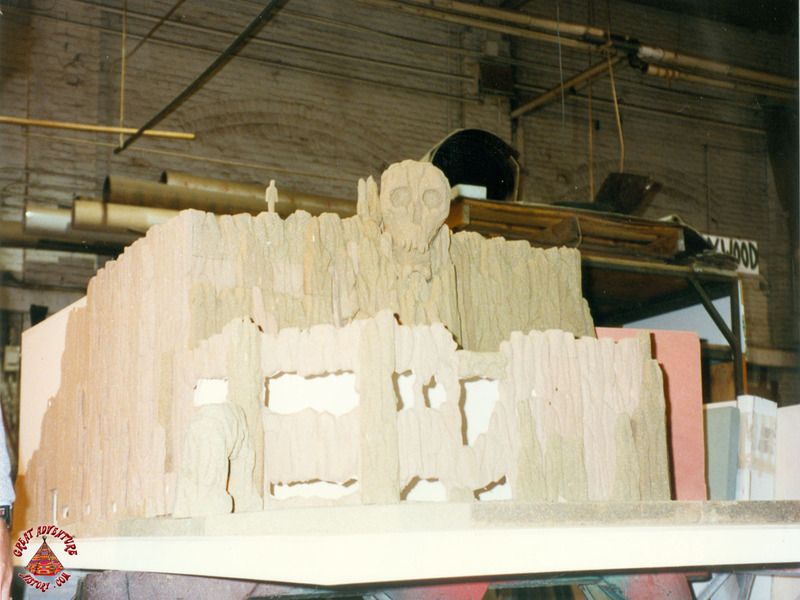 Models such as those like Skull Mountain’s would be pivotal in the production of Great Adventures new rides, and helped to easily depict the level of immersion that these new attractions would bring.